[Movies] Re: Favorite Horror Films! STAND BACK BILLY! I AM GONA DO THE MAHAHAUWA! SHUFFLE!!!! NO DAD ITS TO POWERFUL!!! Holy Crap, AGY! They did do a Suspiria homage in that episode! O: xD Awesome! sometimes it would have dracula who was an old old black man who was as nutty as could be (one epsioed dracula steals a dune rider form star wars and takes grim to go get an early bird spaialce XD). one epsioed they ddint even have billy mandy or grim in it, it was 3 supporting carictors including the bear generals 2nd in comand battling the forces of evil XD!!!! athroditie makes tons of aparianaces and always causes truble for grim. forget when it happend but she lost a tooth becuse of grim and shes always missing the tooth after XD!!! show was just insane, shame they cancaled it someday. tho they did make a cuple tv movies after the show was done. 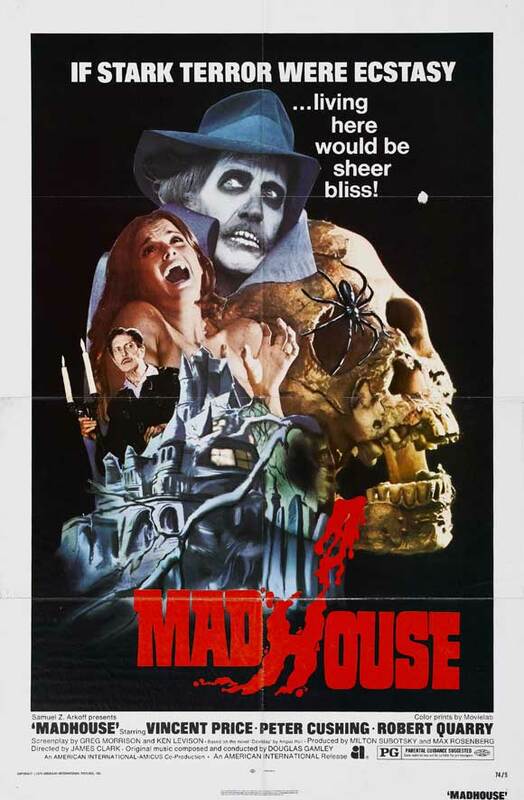 Today's Classic Horror Film is: MADHOUSE! Madhouse is a 1974 British horror film directed by Jim Clark. Price plays Paul Toombes, a horror actor whose trademark role is 'Dr. Death'. Years after a scandal ends his film career (his fiancee is murdered and Toombes ends up in an asylum, suspected but never convicted of the crime), the embittered Toombes revives his skull-faced character for a television series. Cast and crew begin to die in ways that suggest scenes from Toombes's films. 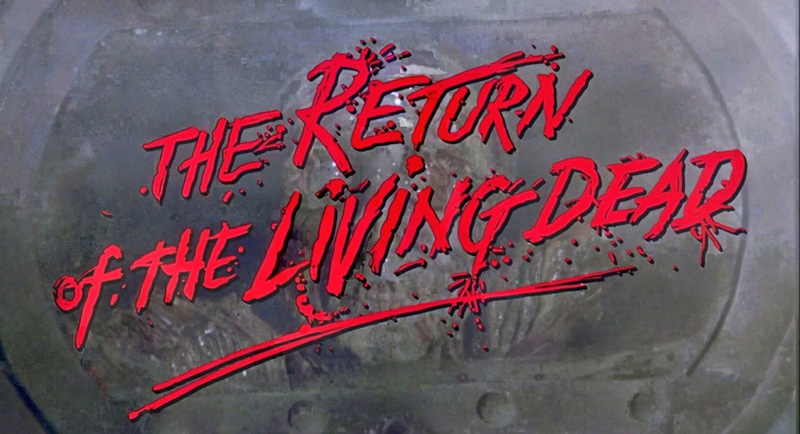 The Return of the Living Dead is a 1985 American black comedy/zombie horror film written and directed by Dan O'Bannon. The film tells the story of how three men accompanied by a group of teenage punks deal with the accidental release of a horde of brain hungry zombies onto an unsuspecting town. The film is known for introducing the popular concept of zombies eating brains, as opposed to just eating human flesh, like previous zombie iterations. House of 1000 Corpses is a 2003 American exploitation horror film written, co-scored and directed by Rob Zombie. The plot focuses on two couples who are held hostage by a sadistic backwoods family on Halloween. They wander off the beaten path in Texas only to discover the horrors waiting for them in the Firefly home. strang movie in that it requiers you to root for the bad guys. the sequal is the same way, you need to root for the bad guys for it to be enjoyable. House of 1000 corpses looks pretty good. No Films of the Day? This is a bit off topic, but has anyone who gets GameInformer seen the Horror Issue this month? It has some really good articles in there, and mentions really great horror/survival games that even I didn't know about. You should check it out if you haven't already. Braindead, released as Dead Alive in North America, is a 1992 New Zealand zombie exploitation film co-written and directed by Peter Jackson. Highly bizarre, but different, story. If you love gore and violence, mixed in with a black comedy, this is a film for you!